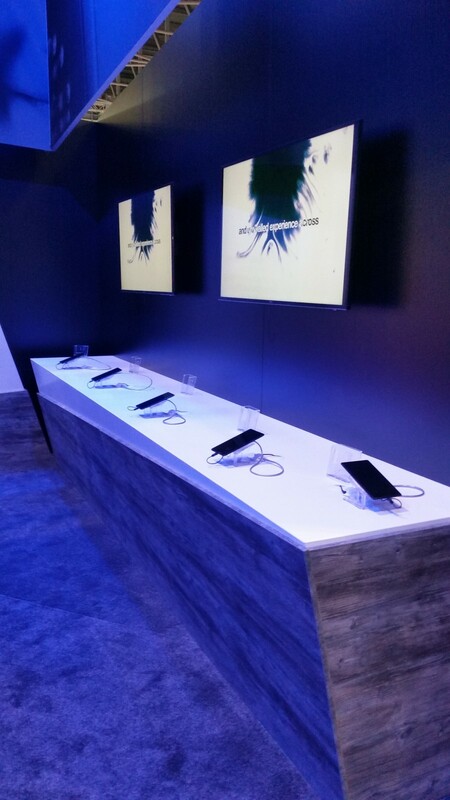 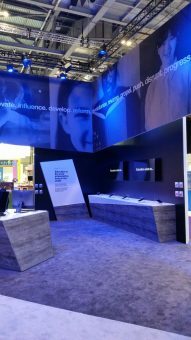 We like all our stands but the Capita build really showcases our ability to provide first class stands. 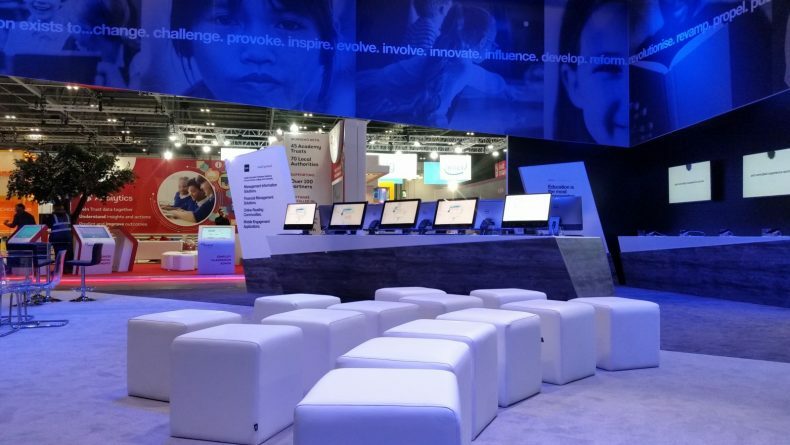 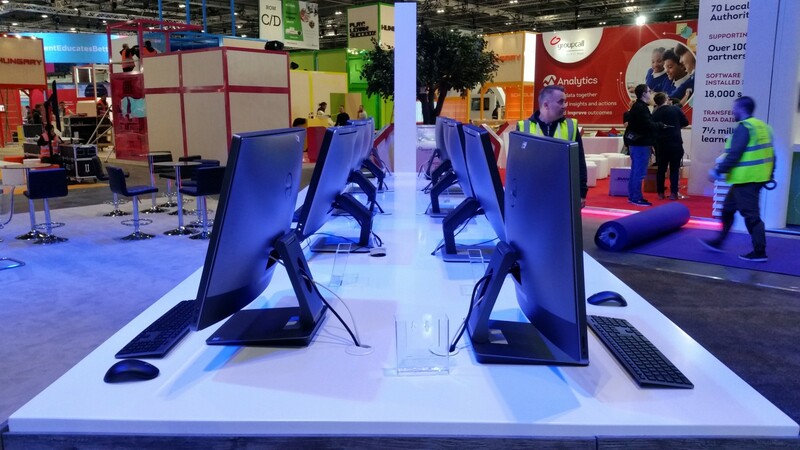 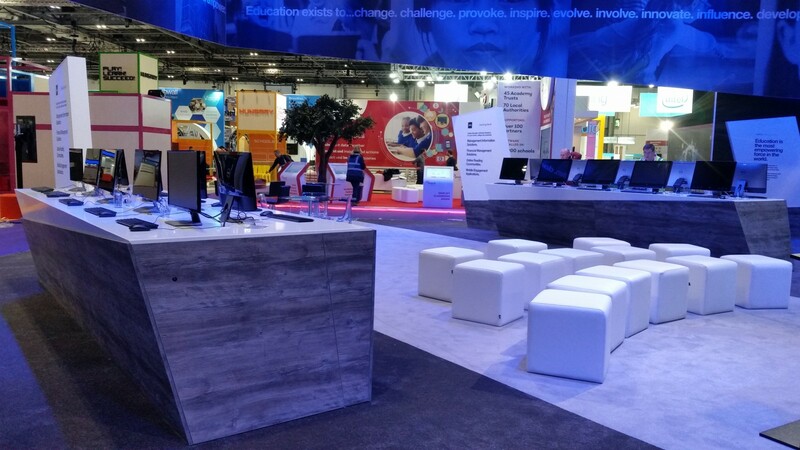 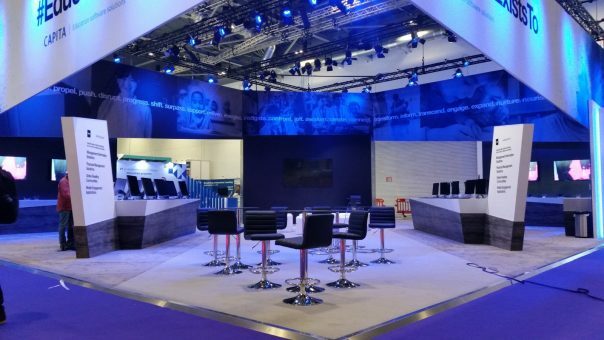 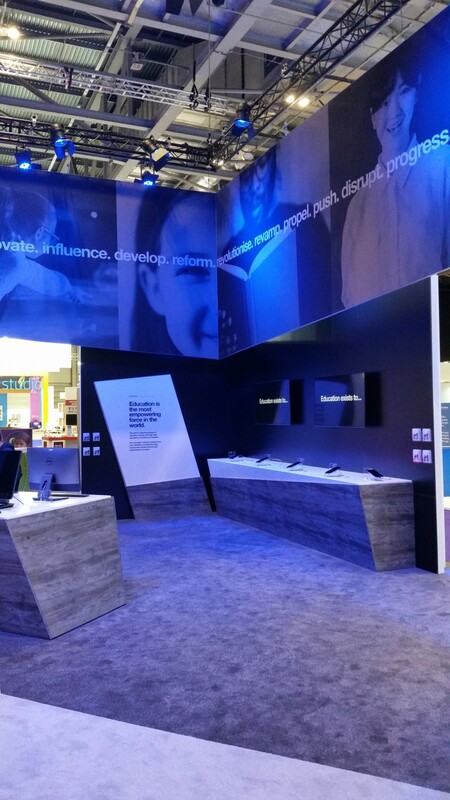 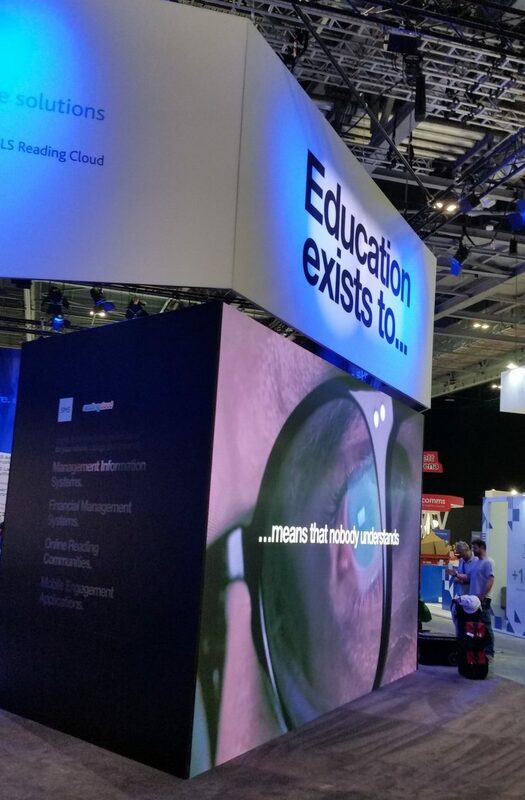 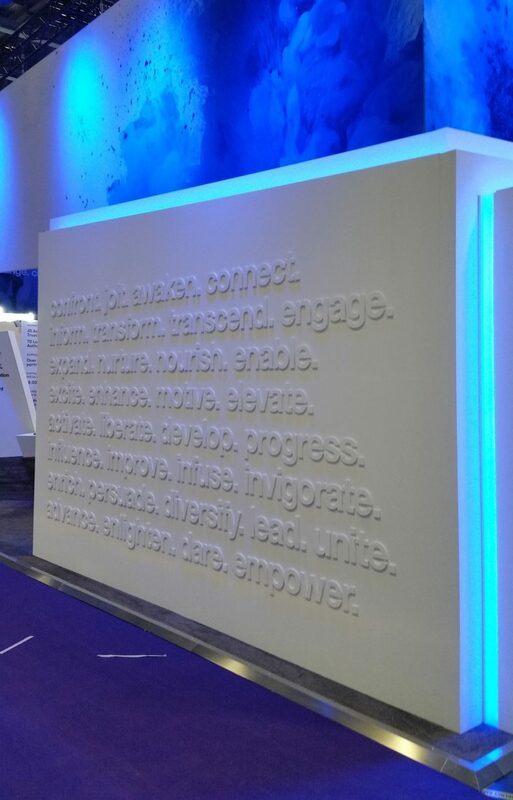 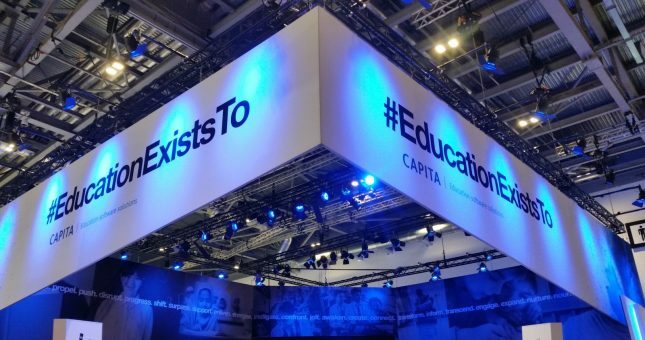 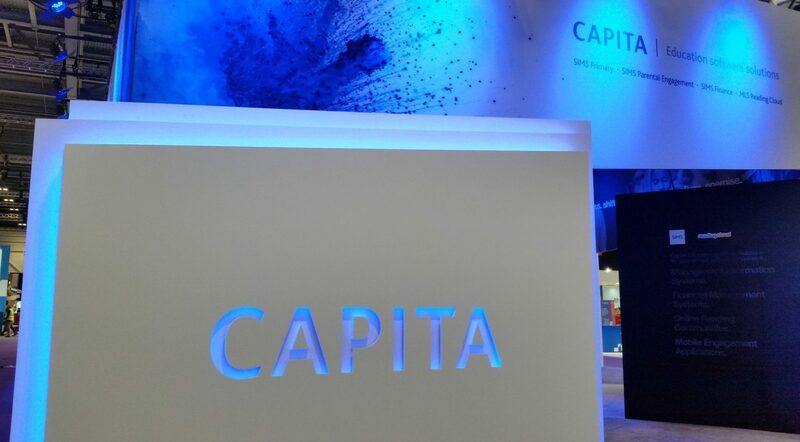 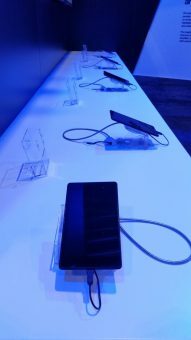 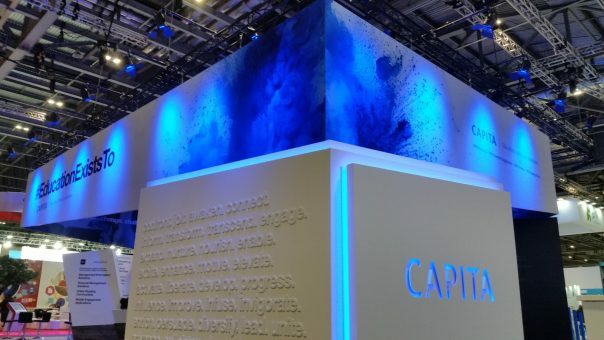 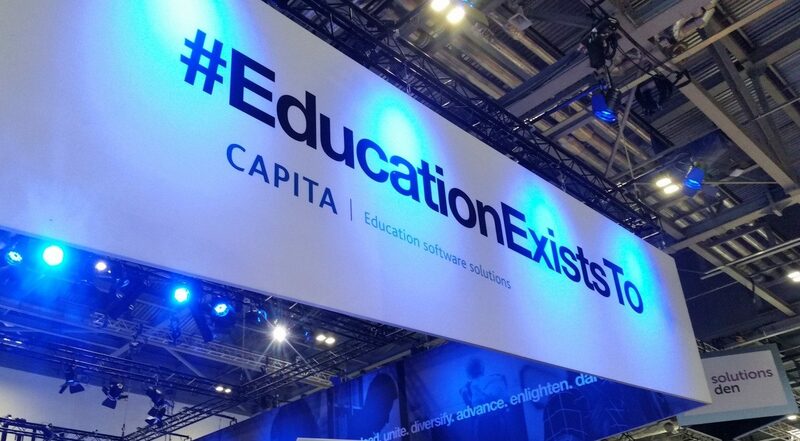 On this one we worked with our close partners IN 2 Events to produce a fantastic stand for Capita @ Bett 2018, ExCel, London. Importantly for us this show let us use many of the skills, techniques and tools built up over the past 17 years. Featuring full LED remote controlled lighting, bespoke massive angled banner, a 6m x 3.5m video wall, disply units that were spray painted, edgebanded and had electronic secret doors that ppoped open with the wave of a card, and not least two long walls to give a seamless 3D graphic relief.